Don't miss the deadline for the conference on "The World of E. M. Forster - E. M. Forster and the World" (29th - 30th September 2016 in Olsztyn). More info, incl. CfP, here. Welcome to Aspects of E.M. Forster. This site has been on-line since March 2000. My aim is to fit you out with information about E. M. Forster, his life and literature. Contributions are always welcomed. This site contains an extensive biography of E.M. Forster. Moreover, you can find a list of annotated images of Forster, his family and friends, the places of his life etc. Another important element is the writings section, in which you can read about both Forster's fictional and his non-fictional texts and their film adaptations. This includes summaries, character lists, interpretations and selected essays. If you want to do research on Forster, you can rely upon the bibliography section, which marries available printed literature to on-line texts. If this is insufficient, you can use the message board to discuss problems concerning Forster's life and literature with other users of this site, or you can try to find the respective piece of information at another site, linked to through the annotated links list. The numbers area provides the results of occasional polls concerning various aspects of Forster's life and writings. You might have noticed that the website has not been updated or, generally, maintained properly in the last couple of months (years?). The reason is, that I'm reshaping the whole thing. I can tell you already, that it will be scandalously modern and open and different. Whow! 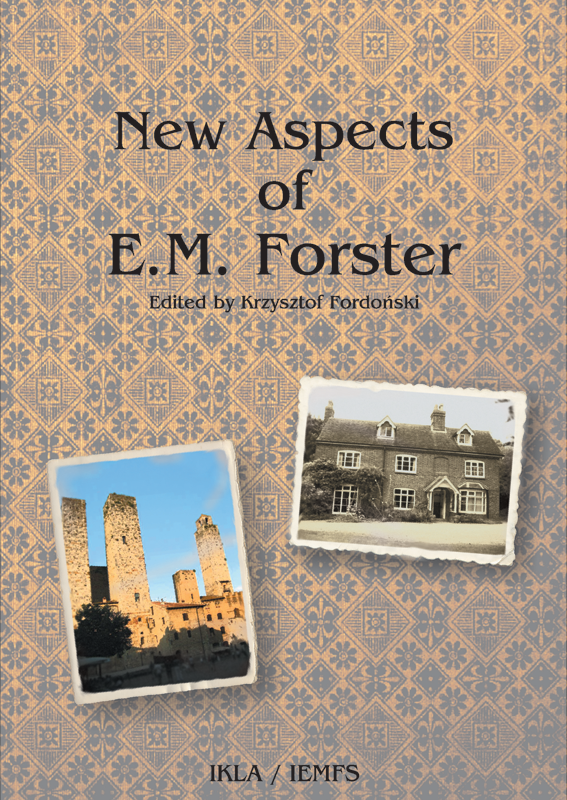 The new emforster.de: Aspects of E. M. Forster should go on-line in late 2016. If you want to support this makeover or the general maintenance of this website, you are more than welcome to either donate a penny or two or to order the products you are ordering from Amazon anyway, via these links: Amazon.co.uk, Amazon.de, Amazon.com (we will then get a tiny little commission for sending you to their shop). If you are looking for up-to-date information about scholarly activity related to E. M. Forster, you can visit the Facebook page of the International E. M. Forster Society (established 2010).